We talk to everyone about Pinhole photography. Artist, camera makers, art professors you name it, gear discussions our favorite techniques and ideas. This week we are joined by Ian Burton! Ian offers a pinhole workshop in the Uk and he cones to talk with us about his love of pinhole, the workshop and how it all began! Find him https://www.flickr.com/search/?ytcheck=1&new_session=1&text=Ian%20Burton and also here https://instagram.com/ianburtonphoto?utm_source=ig_profile_share&igshid=z72zzgw4fusx Ian’s pinhole workshops here http://pinholephotographyworkshops.co.uk/ and his blog here https://ianburtonphotography.wordpress.com/ we spoke about Wendy Chapman and she’s here https://instagram.com/wendychapman51?utm_source=ig_profile_share&igshid=1dqo60kdl4p36 thanks for listening!! HAPPY BIRTHDAY to us!! It’s been a year show 52 proves that haha! Mark was my original cohost on the show and he’s come back to talk with us! Find Mark here https://www.flickr.com/photos/22929032@N07 and also here https://instagram.com/threeeyedmonster?utm_source=ig_profile_share&igshid=1qtlp69o4q4x we talk about infrared in Hawaii and cameras and fun!! Show 50 Jeff Korte multiple pinhole man! This weeks guest is Becky Ramotowski. Becky comes to talk with us about her travels, her cameras and caffenol! Find Becky on Instagram @beckastro online here http://palominopinhole.blogspot.com/?m=1 and also https://ninedollarblog.blogspot.com/?m=1 and also on twitter as Astrobeck thanks for coming and talking Becky!! This week we welcome Jeff Mcconnell! Jeff is an amazing pinhole artist who dabbles in many different pinhole styles from exposures that last months to a Pinhole Bazooka!! We have a call in from Matt Jones also! Find Jeff here http://www.jeffmcconnell.net/ he is in Instagram @jeffmcconnell_photo and also @howthingslook find Carlos Jurado here http://v1.zonezero.com/exposiciones/fotografos/jurado/libro/index.html thanks for listening! This week we welcome Lena Källberg to the show. Lena makes most of her cameras and uses everything from paper negatives to glass plates. Find her on Instagram @lomolena and her websites http://www.lenakallberg.se/index.html and http://pinhole.se/ we also talk about WWP find out more here https://pinholeday.org/ thanks! This weeks guest is Cath Cartman, Cath comes to discuss her work with us. She does lots of self portraits and stays close to home for a lot of her work. Find her on Instagram @cathcartman thanks for coming Cath! Marko visits us to talk about his projects from paper negatives pinholes to cameraless pigment prints find his work here https://inavoidanceofreality.com/ also on Instagram @inavoidanceofreality thanks Marko for coming and visiting with us! 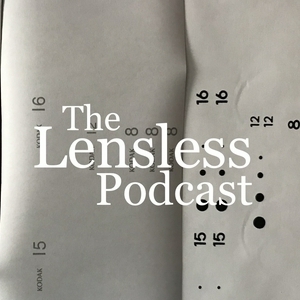 This week Tony Hirtz joins us to talk about his various formats and live of pinhole photography! Tony uses 35mm all the way up to 4x5 and every size in between in his home made cameras. Find him on Instagram as here https://instagram.com/tonyhirtz?utm_source=ig_profile_share&igshid=wsyrh50bkmbf @tonyhirtz thanks for coming Tony! Merry Christmas! This episode we have the wonderful Tina Rowe joining us! Tina comes to talk about her many projects and many process involving pinhole. Find her at http://tinarowe.co.uk/ and also here http://e5process.co.uk/ on Instagram @tinarororo she’s on Flickr as Tina Rowe. Thanks! This week we are joined by an amazing artist Micheal Weitzman. Micheal is a master at alternative printing using litho printing and a few of his own methods. See his work at http://michaelweitzman.net/ Instagram he’s @mwphotographicarts and Flickr as Michael Weitzman. Thanks for listening! This week we are joined by Graham Hufton who creates awesome images with 5 panel pinhole cameras! Find him on Instagram to see his work at @chickenthumbs and @crackercrumbsblog on the web at http://www.crackercrumbsblog.com/ thanks for coming and talking Graham! This episode we have an amazing photographer Peter Wiklund! Find his work here http://www.peterwiklund.se/mankind/ and on Instagram @peterpinhole find alternative photography artists and webpage here http://www.alternativephotography.com/ thanks Peter for joining us! This weeks guest is Gregory Lancaster! He has an amazing interesting series of cold case files from the Portland OR area that he shot with his homemade pinhole camera. Find him on Instagram and have a look at @small_aperture thanks Greg for coming and talking with us! This weeks guest is Andrew Sanderson an Ilford master printer and pinhole enthusiast find him here; http://www.andrewsanderson.com/ also here; https://thewebdarkroom.co.uk/ and on Instagram @andrewsandersonphotography thanks so much Andrew for joining us! Find Toby here; http://www.vandevelde.co.uk/ and instagram at @tobyvphoto find the photoboks Andrew mentioned; Chris Keeney “Pinhole Cameras a Do-It-Yourself Guide”, Jo Babcock “The Invented Camera” and Eric Renner “Pinhole Photography, Rediscovering a Historic Technique” here at https://www.abebooks.co.uk/ thanks for listening! Find Todd’s cameras here; https://www.etsy.com/shop/Schlaboratory?ref=s2-header-shopname thanks to Todd for hanging out and shedding done light on slide film!! We talk with Janes Guerin of Reality So Subtle Pinhole cameras•shout outs• Reality So Subtle webpage https://aupremierplan.fr/ • instagram shoutouts: @poppaneedsanap @juergenlechnerphotography thanks!! Andrew Bartram•Pinhole focal lengths•instant Pinhole•listeners projects•emails and more! Tonight’s guest is Mark Me.Snaps, gear talk,email and follow up from last weeks episode! 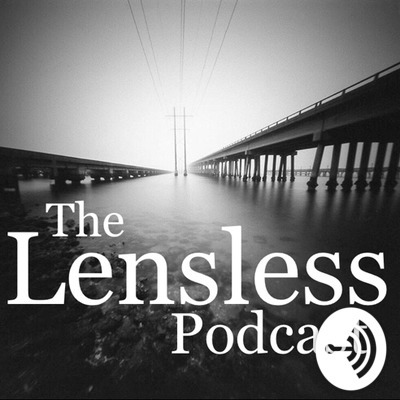 Lensless podcast show 1 "hello"
In this show Mark and Corey discuss worldwide Pinhole photography day, Gitswap project and minimizing camera shake!